Our Apple Cider Vinegar (ACV) is raw, unfiltered and unpasteurized and our bottles contain “the mother”. The “mother” is the culture of beneficial bacteria that turns regular apple cider into vinegar. Mother is made up of strands of proteins, enzymes and friendly bacteria that give the product a murky, cobweb-like appearance. Available in a 500ml glass bottle. Please contact us for more information! 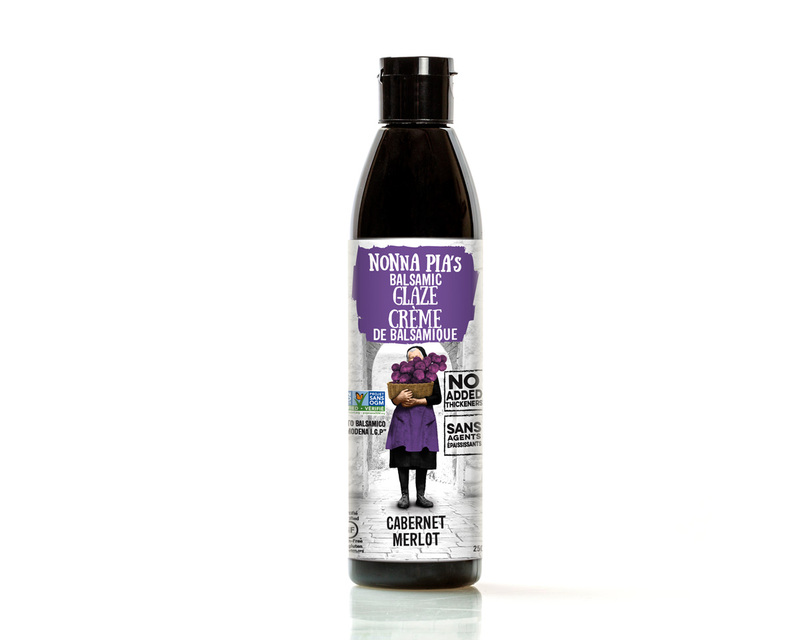 Aged balsamic vinegar imported from Modena Italy, slow simmered, creating a thick, velvety smooth and robust glaze. The most versatile of our glaze lineup adds unsurpassed flavor to any dish. Balsamic vinegar of Modena, Italy, granulated cane sugar (non GMO). 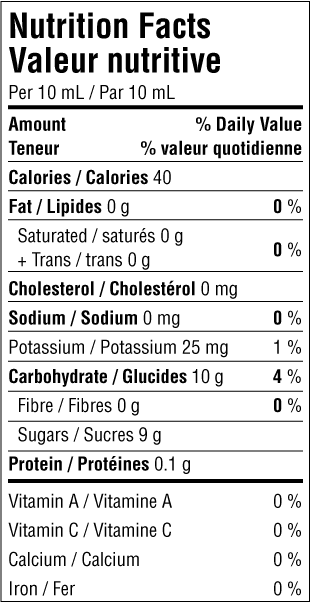 ALLERGENS: Contains naturally occurring sulphites. Our signature Balsamic Glaze Infused with Okanagan BC Cabernet Merlot. Full bodied with fruitful undertones. Beyond compare drizzled on burgers and grilled red meat. Take all cheeses to a new dimension with a tease of Cabernet Merlot Glaze. Balsamic vinegar of Modena, Italy, granulated cane sugar (non GMO), Cabernet Merlot wine. ALLERGENS: Contains naturally occurring sulphites. Succulent strawberries and mission figs slow infused into our aged balsamic creating a more fruity intense finish. Drizzle on grilled salmon or halibut. Unbelievable in vinaigrettes or lightly drizzled on all salads, ice cream and fresh fruit. Balsamic vinegar of Modena, Italy, granulated cane sugar (non GMO), fresh strawberries, mission figs. sweet and tangy heat for a spice lovers’ sensation. Most excellent on all salads, cilantro prawns or any grilled chicken. fresh squeezed lime juice, chili flakes. One of our most versatile flavour profiles, you will find limitless uses for our Garlic glaze. Robust balsamic flavour with a hit of garlic you will want to add this to just about everything! Balsamic vinegar of Modena, Italy, granulated cane sugar (non GMO), fresh garlic. As balsamic vinegar ages, it becomes more robust in flavour, more concentrated and viscous and its flavour profile is more of a sweet acidity as opposed to completely acidic… it is also significantly more expensive than commercial, young balsamic vinegar. Balsamic glazes are designed to emulate the flavour and texture of aged balsamic vinegar without bearing the significant cost of those aged vinegars. Nonna Pia’s Balsamic Glazes are all brewed in Whistler, BC. The balsamic vinegar is imported from Modena, Italy on big 40Ft containers to the port of Vancouver and then shipped up the Sea to Sky highway to Nonna Pia’s commercial kitchen. Norm slowly cooks the Balsamic Vinegar in 100 gallon steam kettles for up to 12 hours while Infusing it with fresh fruit and herbs. Viscosity and the concentration of flavour is gained by removing the moisture from the vinegar as opposed to adding thickening agents. Nonna Pia’s Balsamic Glaze direct competitors are products called balsamic cremes and other balsamic glazes. However, not all are created equal. Nonna Pia’s Balsamic Glaze is superior to these other balsamic creams and glazes which contain thickeners, etc. Those balsamic cremes and glazes are only made with a % of balsamic vinegar and then thickened with a xanathan gum, modified cornstarch, arrowroot or thickening agent and often sweetened with High Fructose Corn Syrup. The balsamic vinegar used to make cremes and glazes will often contain caramel, which has been linked to cancer. Caramel is added to balsamic vinegar to make up for the lack of aging of the vinegar in the barrel (it adds depth in flavour and colour) which otherwise takes time and costs money. Nonna Pia’s Balsamic Glazes are made from a superior quality aged Balsamic Vinegar that does not contain caramel and we do not use thickening agents or starches when making our glazes! We have yet to find another true Balsamic Glaze in Canada or the USA!